How quickly is each team member responding to new leads? How many times are we following up with each lead? 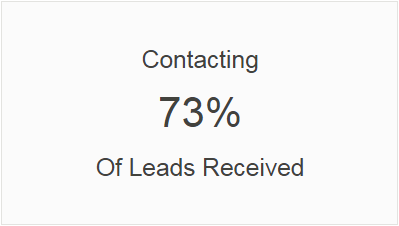 What percentage of leads are we able to get a hold of? How well are we closing leads from our website vs our paid channels? Response time is the amount of time that passes between a receiving a new lead and following up with that person via phone or email. 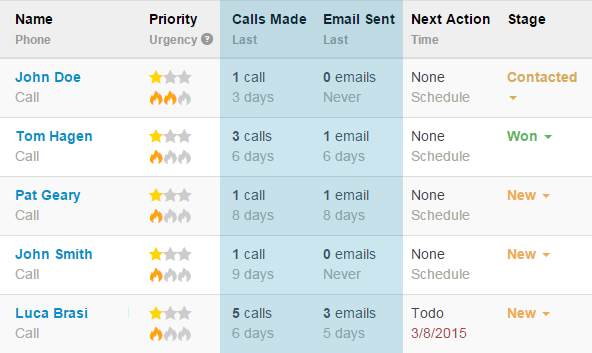 LeadSimple tracks phone response times on the main lead dashboard. This stat only takes into account calls that were made to the lead through LeadSimple. Notes marked as calls or emails on the lead record to not affect this number, this is done in order to maintain the integrity and accuracy of the stat. Leads marked as invalid are also backed out. 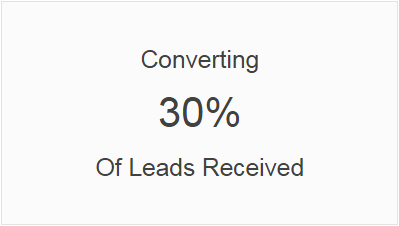 Stage - Is there a difference in the response time for leads that were won vs lost? Assignee - Which agents are responding fast / slow? Source - Are leads from certain lead sources being responded to faster? If so why, and is this impacting conversion rates? 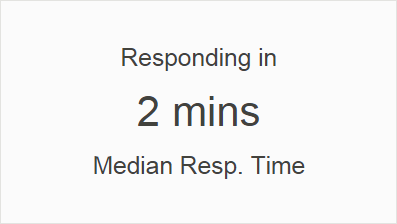 Date Range - Are response times different this quarter than last? LeadSimple tracks the number of calls and email follow up attempts made to each lead. Note: This stat only takes into account calls and emails that were made to the lead through LeadSimple. Notes that are marked as calls or emails on the lead record do not affect this number, this is done in order to maintain the integrity and accuracy of the stat. Leads marked as invalid are also backed out. Stage - Is there a difference in the amount of follow up leads that were won received compared to leads that were lost? Assignee - Which agents are making more / less follow up attempts? Source - Are certain lead sources receiving more follow up than others? If so why, and is this impacting conversion rates? Date Range - Is follow up volume different this quarter than last? You can also see the number of calls or emails placed to each specific lead by going down your list of leads. Notes marked as calls or emails will be listed the above list. This stat is calculated by counting percentage of leads placed in any stage other than new. Leads marked as invalid are also backed out. Contact rate refers to the percentage of leads that are actually contacted by an agent. 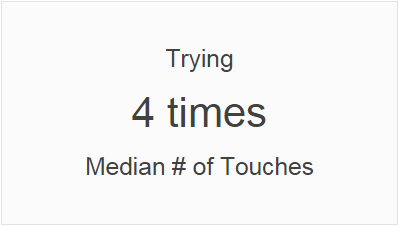 This stat is a reflection of both response time and persistence. Read more about how to improving your contact rate in the webinar, "Dominant Follow-up Strategies". Assignee - Which agents are doing a better job at making contact? Source - Which lead sources are providing leads you're able to make contact with? Close rate refers to the percentage of leads that are placed in a won stage. While this is an important metric that is essential to track, it only tells you what happened, not why. For a deeper explanation of sales performance, focus on response time, persistence and the content of the actual calls and emails made. While close rates tend to be the star metric, these other sub metrics are arguably far more important in interpreting sales results. Source - Are certain lead sources receiving more follow up than others? How is this impacting conversion rates? Got more questions? Call (888) 626-3259 or email, or start a chat session right now.